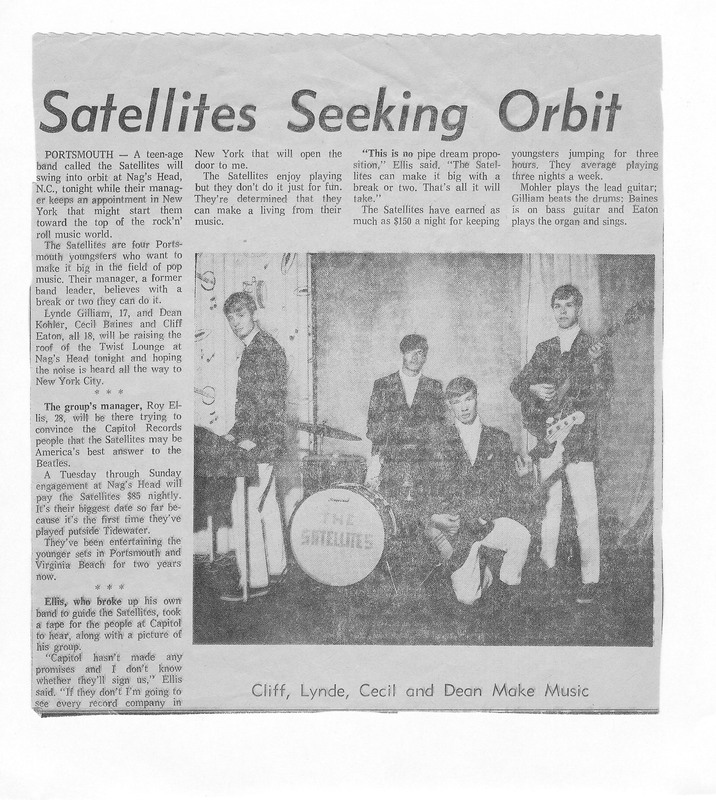 In 1966, I was performing at least three nights a week at teen clubs and dances with the Satellites, my rock band. I played guitar and sang, even wrote a lot of the songs. Our manager, my Uncle Roy – who taught me to play and gave me my first guitar – took a demo recording of the band to New York City and came back with a record deal. Roy was good at making things happen. Like the Satellites' record deal. Roy liked our songs from the recording studio so much that he took the acetate, our demo record, up to New York City. Just walked in the door at Capitol Records like he was some hotshot manager, told the folks there that he had a record they needed to hear. Roy was relentless. Mom could tell you. He was her baby brother, but he was like an older brother to me; we were only twelve years apart. Roy was the type of guy that you know isn't going to go away, so you go ahead and listen to him just to get him out of there. And that's exactly what happened at Capitol. He got a "thanks, but no thanks" and was politely shown the door. But Roy was no quitter. He got on the elevator with a lady from Tower Records, a subsidiary of Capitol. By the time the doors opened again, he'd locked up the Satellites' record deal. I still couldn't believe it. Somebody thought my music was good. Good enough to put on a record for the whole world to hear. Definitely not Dad. I wished he could be more like Roy. Wished he knew what it felt like to be up on a stage, making a groove, sharing your music. But Dad just didn't get it. So Roy came home from new York with the record deal.